What’s an easy-to-follow, low-cal diet for weight loss? Boiled egg diet. This high-protein diet can help you lose up to 12 pounds in just two weeks! Yup, that’s POSSIBLE! American scientists have found that eggs induce satiety and reduce short-term food consumption, leading to weight loss (1), (2). Along with eggs, you will have other high-fiber, healthy veggies, fruits, nuts, and seeds to shed the fat without compromising on nourishment. But this diet is a short-term weight loss program, and for best results, you must know the ins and outs of it. 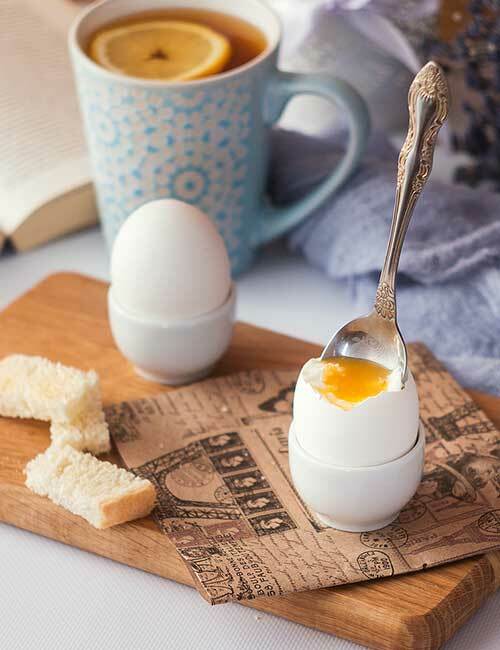 So, read on to know everything about the boiled egg diet plan. Swipe up! 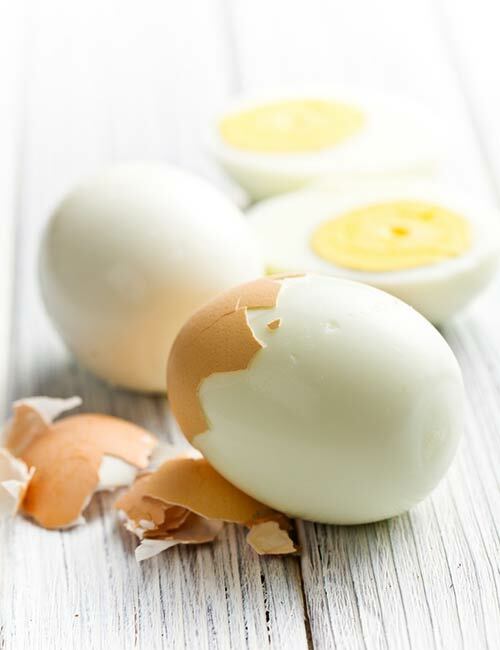 How Does The Boiled Egg Diet Aid Weight Loss? The boiled egg diet is a two-week diet plan that requires you to have a maximum of two boiled eggs per day with other nutritious foods. Eggs are loaded with high-quality proteins, vitamins A, D, E, B12, and folate, iron, selenium, riboflavin, choline, and the antioxidants lutein and zeaxanthin. These nutrients help build muscle mass, improve metabolic rate and brain function, protect you from heart disease and macular degeneration, produce hormones, and strengthen the immune system (3). When you consume eggs, you consume proteins, which take longer to digest. So, you feel full for a long duration. The proteins also help build lean muscle mass, which, in turn, helps accelerate your metabolism. Eggs are also loaded with antioxidants that help flush out the toxins, thereby reducing the stress and inflammation in your body. This helps protect you from inflammation-induced weight gain. The water-soluble and fat-soluble vitamins help strengthen your immunity, which, in turn, keeps you active and energetic. 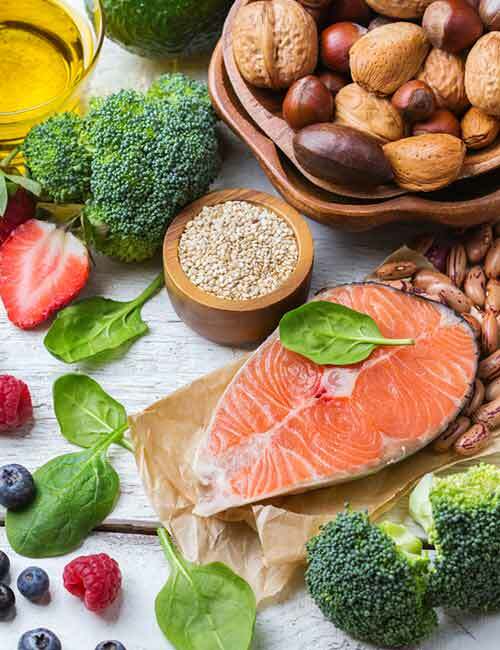 As mentioned before, you will also eat foods rich in dietary fiber, healthy fats, and lean protein that will help you lose weight. 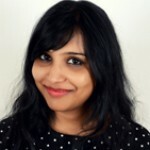 It is clear that the egg diet can work for you if you adhere to the plan and some basic guidelines. What guidelines? Find them below. Follow it for two weeks for best results. Adhere to the diet plan. Consume at least 1200-1500 calories per day depending on your age, height, current weight, activity level, current medications, etc. Have the right mindset to start this diet plan. Alright, now let’s get straight to Week 1 of the boiled egg diet plan. By the end of Week 1, you will lose all the water weight and feel less bloated. You will weight six pounds lesser and appear slimmer. And you will be excited than ever to find out what’s in store for Week 2, and how much weight you will lose by the end of this diet. So, let’s jump right into Week 2! By the end of Week 2, you will feel super light and energetic. You will love the way you look, and adhering to the diet plan for 14 days will give your confidence an extra boost. All your gut problems will vanish, your metabolism will be back on track, and you will be addicted to your new lifestyle. You might think that you have to almost starve as there are no snack breaks. Well, that’s not true. Here’s a list of foods that you can consume as a snack. But do not consume these too frequently. Have them two hours after or at least one hour post and pre-meal respectively. Consume these between breakfast and lunch, and lunch and dinner. Avoid eating anything post-dinner. So, this was the two-week boiled egg diet plan. But did you know that there are three types of egg diet plan? Let me briefly explain. 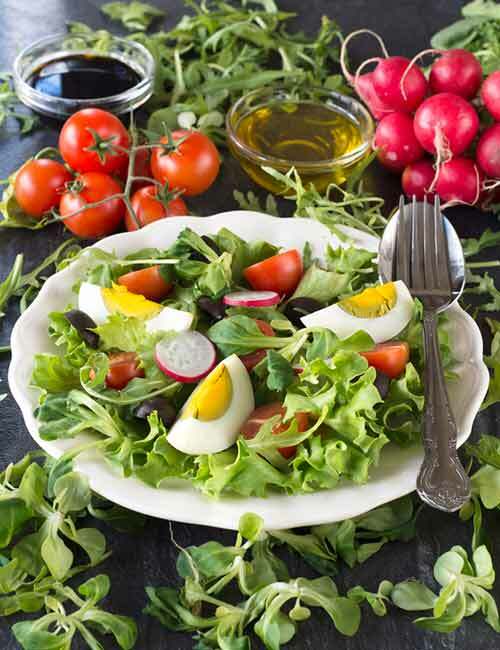 Boiled Egg Diet – 2 boiled eggs per day along with other low-cal and high-protein foods. Eggs And Grapefruit Diet – 2 eggs (boiled/scrambled/poached/fried) and half a grapefruit with breakfast, lunch, and dinner. 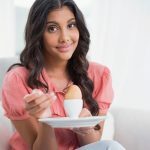 Extreme Egg Diet – You only consume eggs. This is a nutritionally imbalanced diet, and we do not recommend it. 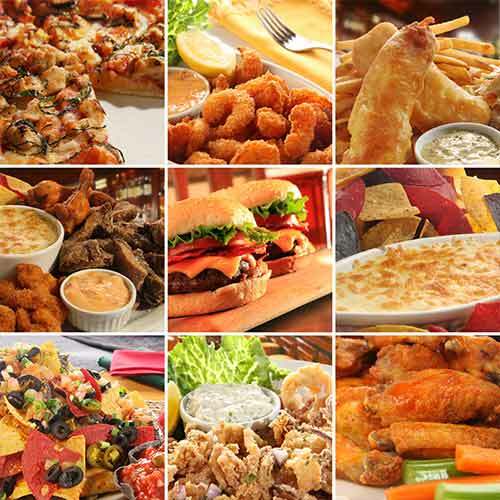 Let’s now take a quick look at the foods that you can eat and must avoid while on this diet. Veggies – Spinach, kale, collard greens, radish greens, Swiss chard, cabbage, purple cabbage, lettuce, Chinese cabbage, bok choy, celery, beetroot, carrot, turnip, radish, okra, eggplant, bitter gourd, bottle gourd, squash, green chili, garlic, and onion. Fruits – Apple, banana, kiwi, watermelon, honeydew melon, muskmelon, plum, peach, tomato, cucumber, avocado, star fruit, orange, grapefruit, lime, and lemon. Protein – Eggs, chicken breast, fish, tofu, soy chunks, mushroom, lentils, beans, nuts, and seeds. Dairy – Full-fat milk, yogurt, homemade ricotta cheese, and buttermilk. Fats And Oils – Olive oil, avocado oil, coconut oil, almond butter, sunflower butter, and flaxseed butter. Nuts And Seeds – Almonds, walnuts, pistachios, flax seeds, chia seeds, melon seeds, pepita, and sunflower seeds. 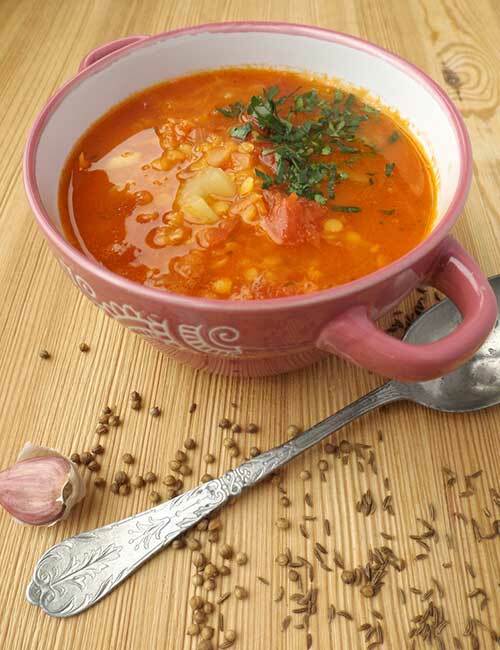 Herbs And Spices – Cilantro, chili flakes, garlic powder, ginger, garlic, onion powder, oregano, rosemary, dill, fennel, fenugreek, black pepper, white pepper, cardamom, clove, nutmeg, cinnamon, mace, and saffron. If you are someone who is addicted to most of the foods in the “foods to avoid” list, I am sure your first concern is, how to make your breakfast, lunch, and dinner? Well, here are a few easy and quick recipes for you. Take the basic idea of including healthy foods and give them a tasty twist. Take a look. 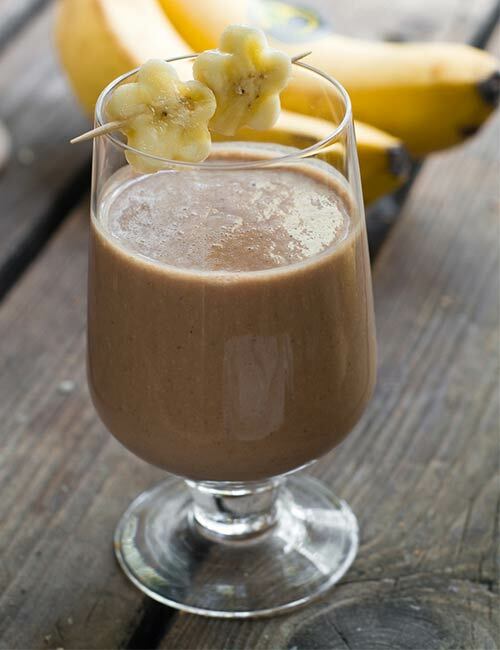 Pour the smoothie into a tall glass and sip! Slice up the eggs, roughly chop the iceberg lettuce, and halve the cherry tomatoes. Toss them into a salad bowl. Add the chopped kale, dried herbs, chili flakes, salt, and olive oil. Toss it well, and it’s ready to eat. Wash the lentils and boil them in one and a half cups of water. Heat a pan and add olive oil. Add the cumin seeds and cook for 30 seconds. Toss in the garlic and ginger. Cook for 2 minutes. Add the chopped onions and cook until they become translucent. Add the chopped tomatoes, turmeric, salt, chili flakes, and half of the cilantro. Add the boiled lentils and cook until it starts to boil. Cook for 2 minutes more and then turn off the heat. Garnish with the remaining cilantro and enjoy your dinner! So, you see, it is not really so tough to prepare a healthy, homemade meal. But the question is, what are the benefits of following egg diet for two weeks, apart from weight loss? Find out below. Lowers inflammation in the body. Enhances skin and hair quality. Along with aiding weight loss, this diet will also improve your overall health and appearance. What more can you ask for! But, you must be careful. Here are a few side effects of the boiled egg diet. Consuming more than two whole eggs per day can lead to high cholesterol. It is safe to consume two whole eggs per day. Consuming boiled eggs for breakfast every day can become monotonous. Eat boiled eggs for lunch or dinner instead of breakfast. Also, try different ways of including boiled eggs in your lunch or dinner like adding them to lettuce wraps, making devilled eggs, etc. Boiled eggs may cause bloating in some people. In the initial days of the diet, you may crave for foods and feel hungry all the time. Drink green tea or water and snack on healthy foods if your hunger is uncontrollable. This is not a long-term weight loss program. You might gain the weight back if you do not follow a healthy lifestyle after completing two weeks of this diet. The boiled egg diet will help you get back on track by giving you the much-needed nudge. Once you develop the habit of following a healthy lifestyle, you will start losing weight and feel awesome about yourself. So, no more wishing! Plan and aim to adhere to this diet for two weeks and choose the best way to live your life. Make the best out of the boiled egg diet, because you CAN. Cheers! Almased Diet Plan – What Is It And How Does It Help You Lose Weight?